In one of the trainings that I conducted, one student made a mistake in pronouncing 'pusil' (which is the word for gun in Cebuano). What he said instead was 'pisot.' Pisot is the Cebuano term for a boy who is not circumcized. So my student's mistake paved the way for a discussion on culture. This happened on a summer so I had to explain that the circumcision season is summertime because it is vacation time and young boys have enough time to recover from the wound created during circumcision. This further opened a sharing session in culture. You see, in Japan, circumcision is really not part of their culture, but it is done by people for health reasons. It doesn't matter if the person gets circumcized at age 30. I know that hygiene is also the primary reason for circumcision, but more than simply for good health, it is a rite of passage into adulthood. So that was one instance when a mispronunciation became beneficial, however, what if it creates confusion instead? 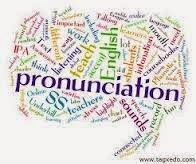 This is where pronunciation plays a big role in language learning. I cannot stress that enough to my students. My principle is it doesn't matter if you are slow as long as the listener understands you because of your clear pronunciation. Even if your speech is short, if it is well-pronounced and clear, many people will listen to you because you showed genuine desire to study the local language. I had another student who spoke too fast that it was garbled speech. I would tease him that he was talking in a 100-km-per hour speed. So I had to stress again that people are not interested in hearing you speak fast but not understanding anything. They'd rather hear the message clearly. If you are a student who is really serious in learning a local language or dialect and you want quality input, choose a really qualified teacher, and an experienced one, because these instructors know what words need utmost care in speaking. They know what words are often mispronounced and they can correct the learner properly so that he will not embarrass himself in the public.